Linksys is a product of CISCO the leading company named for Network Products. One of the most reliable and cheapest SOHO router with high performance. Linksys router normally comes with the following feature. 19)Allows to create log for each user. Configuring Linksys router for cable connection is a very easy job than for any other type of connection. Connect the computer to the modem and check if you are able to get online.If you are cable to get online then click on StartMenu-->Run-->type "CMD"(Click OK). Command prompt will appear then type "ipconfig" and find the ip address. For example the display will be like the one below. To confirm if you are online execute the following command. If you are getting four replies then you are online else you have to get in touch with your service provider to get it fixed. a)Connect the computer to any one of the Lan Port in the router. b)Check if you are getting a light in the port to which it is connected. c)connect a cable from your modem to the wan Port of the router. d)Check if you are getting light in the wan port also. e)Now the ip address as same as before this time you should get the ip address as below. g)It will prompt for an username an password. After typing in the username(admin) and password(admin).Click the "OK". i)You will be into a blue Setup page called Linksys Setup page. j)In the setup page you will see a configuration type drop down box. k)From the drop down select "Automatic Configuration DHCP" and click "SaveSettings" button.You will get a popu up with a message"Settings are successful please click continue". You have to click "continue". After few seconds you will be back to the setup page. l) Click on Mac-Address-clone buttion. In the new screen you will see a Radio button with two options enable and disable. Select enable option and then click on "Clone Your Mac-Address Clone" button. Click on "SaveSettings" button to save your changes. m)Once your back into the Original Page. Go to "Status" page then look for an Internet Ip address which should have some value other than 0.0.0.0. If you got an ip address then you are good to go then check if you are online. You should be online. 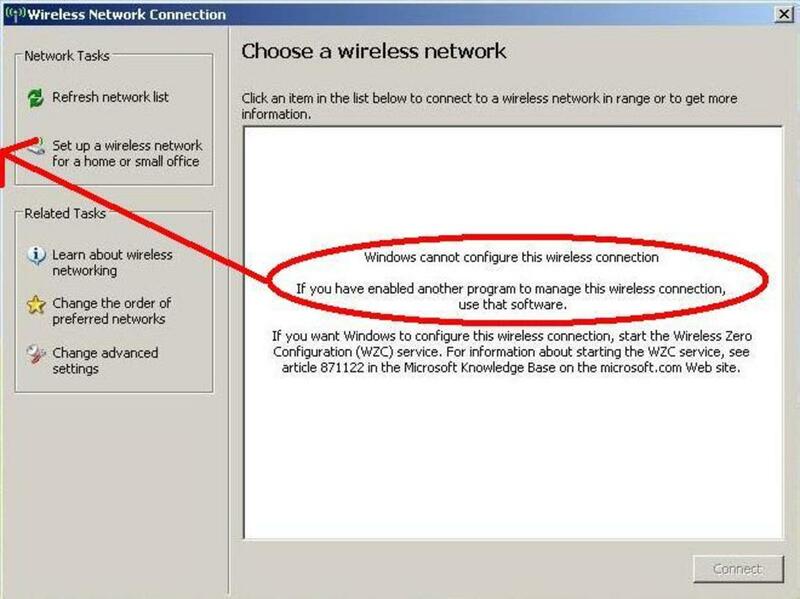 Once you are online then the second part of configuration is wireless configuration. 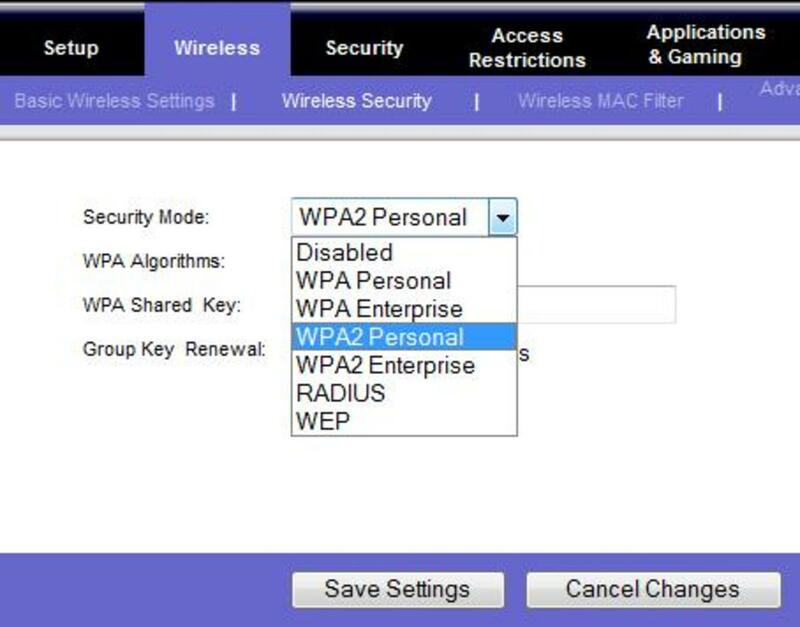 1)Under Wireless tab you will have "Basic Wireless Settings","Wireless Security","Wireless Mac Filter" and "Advanced Wireless Settings". 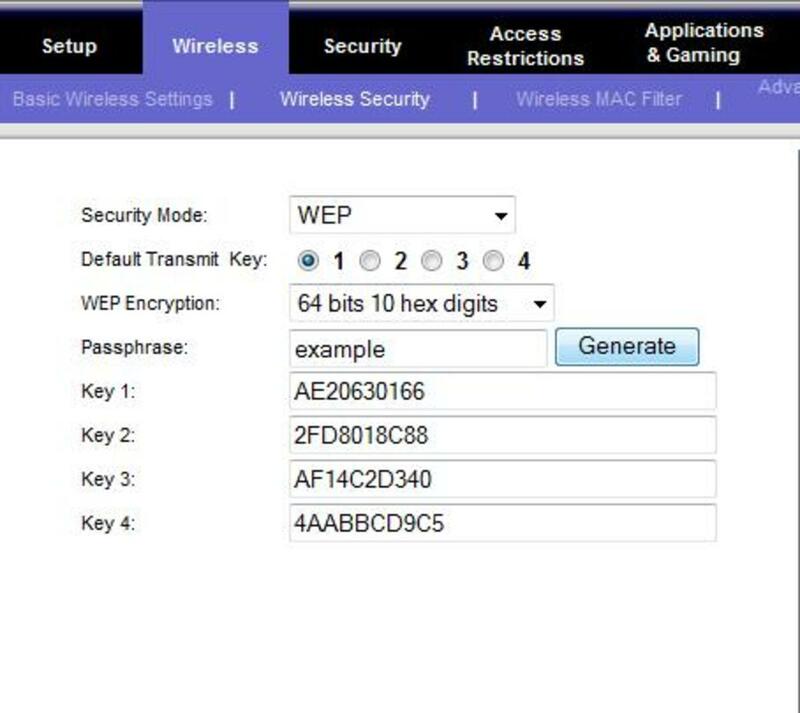 2)Basic wireless configuration require Basic Wireless Settings and Wireless Security Tab. Under Basic Wireless Settings you will have many option to tune your wireless capability. There are four option that you can select. The best and the default option is "Mixed". This can be anything of your choice(ex:myhome,jackhome etc). Whenever you search for any wireless signal in your laptop or computer you will see this name. Select any of the security option. 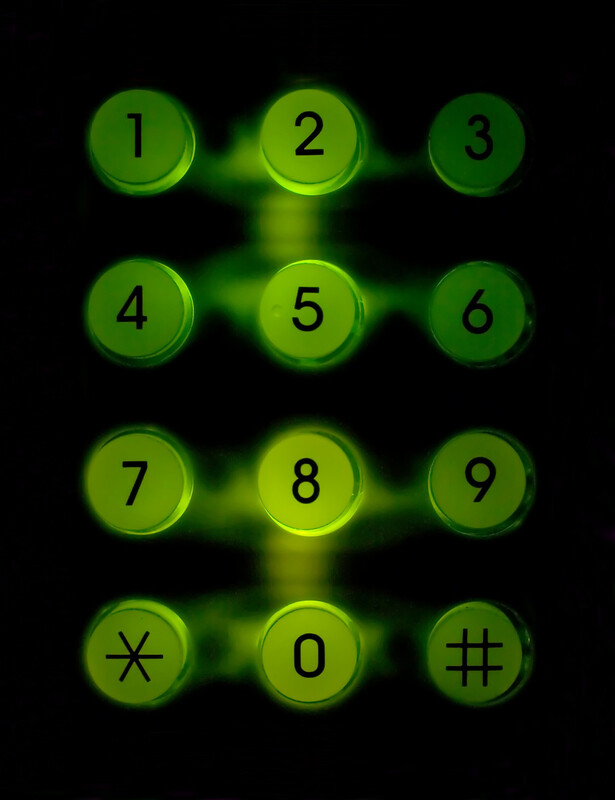 If wep is selected then you will be prompted to type a passphrase and then you will have a generate button click on that then it will display four ten digit keys. Make a note of that ten digit number.So that whenever you connect with your signal you can use this ten digit number to authenticate the signal. If your option is WPA then you will have an option to type a passphrase(minimum 8 character).The same eight digit key will be your password. Use the password to connect with your signal from your laptop/computer. 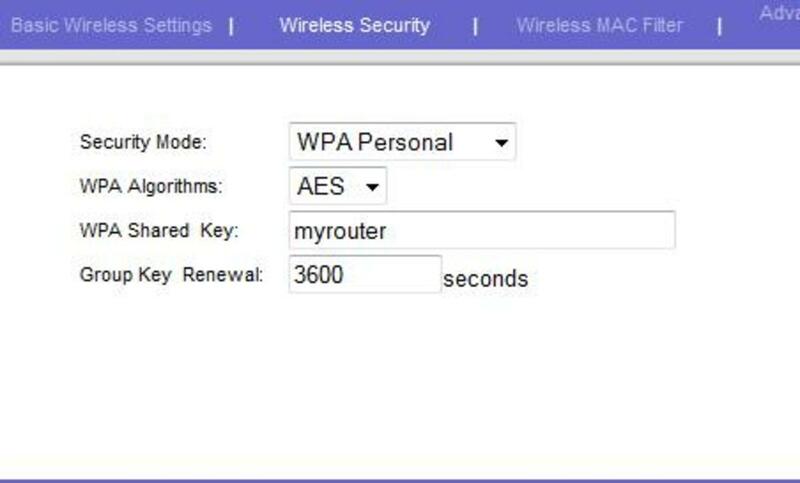 It is same as WPA personal but the difference is compare to WPA personal this have a stronger encryption algorithm. Setting up Linksys router for DSL connection is a bit tricky job. Please follow the below procedure. First we need to confirm if the internet connection is a DSL connection. If you are getting an IP Address like other than 192.x.x.x, 172.x.x.x, 10.x.x.x under PPP adapter then your ISP is providing DSL service in bridge mode. We need to follow the same steps as we did for Cable connection at the top of the hub page execept one specific change. We need to change the internet connection type to PPPOE. Then type in the UserName and Password. Click "Save Settings" to save the changes. Check the IP Address on the status page, you should see an IP address. Configure Linksys Router for DSL connection with NAT mode. Setting up Linksys Router for DSL connection with NAT mode is pretty easy and straight forward. First we need to confirm if the internet connection is a DSL with NAT mode. Please follow the below instruction. We need to change the local IP address to 192.168.2.1 Check the IP Address on the status page, you should see an IP address. A)How should I find what type of connection is mine? 1)Under Direct connection find the Ip address using the step 1. If you are finding an ip address under ethernet adapter local area connection other than 0.0.0.0,169.254.x.x or 192.168.x.x (ex:72.x.x.x,123.x.x.x) then you are connection is cable. 2)If you are having an Ip address under PPPoE adapter then it is a DSL connection in Bridge Mode. 3)If you are having an Ip address like 192.168.1.x,192.168.2.x,10.x.x.x,172.161.x.x then it is also a DSL connection in NAT mode. B)I am getting an ip address in Status page but still I am not online. 1)Turn off the power to the router then to the modem. wait for approximately 30Secs. 3)Turn on the power to the router then wait for the power light to get solid. Once it is solid then you will get a Data light in the modem. 4)Check if you are online, you should be online. C)Still I am not online after trying power cycle. If you are getting four replies then try to ping yahoo.com then you will get the following response. This shows issue with a DNS server. How to configure a DNS server to resolve this issue. Start==>Search-->Control Panel\Network and Internet\Network Connections-->Right Click on LocalAreaConnection--->(Click)on properties-->Click on Network Tab-->HighLight TCP/IP IPv4-->Click on properties-->Select "Use the following DNS server address"-->then type the primary and secondary DNS Server address. Try to ping yahoo.com check if you are getting 4 replies then you will definitely online. While pinging 4.2.2.1 if you are getting Request Timed Out then try restarting the computer. If it doesn't work then try disabling you antivirus then try to ping 4.2.2.1 you should get 4 replies. 5)I am getting Media Disconnected message when I try to find an Ip Address using step 1. This is because the cable is not connected properly between the router and the computer. To check that you can check for the light on the port to which the computer is connected.If it is not glowing then secure the cable properly into the port. To learn about other Linksys Router Configuration. can you share the logs to identify if it is hacked. Hello I know this is a old, post but I have a linksys router, and in the adminastartor Log the outgoing it has alot of strange ip addresses some from romania and russia and other place like that.. Does that mean I have a hacked router? There can be two reasons. If it is blocked by your router policy then you can see the same under Access Restriction Tab. Make sure nothing is enabled. If it is enabled then make sure the required sites are not added in that policy. Cisco were asking for $29 just to configure my router with my new Internet provider, I just came here and made it so easy. Thanks for this free help and for beating the companies abuse. We have this Linksys router Wag54g2 on our ship,but someone changed it from mixed mode to bridge mode,and now we are not able to enter the setup anymore,we need to make a password for it, so how do we enter the setup ? We have tried with the setup Cd,but it cannot find the router, and also all possible ip adresses,but nothing works.I have also tried with a ip scanner,but it cannot see the router on the network, so how do we connect to the setup in the router ?? I have had a wireless router that a home pc, 2 laptops and an ipod access the intenet through for over a year. Now suddendly, after an outage from the internet provider, only the home pc and one laptop can access the internet. What do I need to do? All the linksys router has got a Graphical User interface. If you are unable to see the screen shot then it is an issue with firmware. Please read the procedure in my other hub. ok big problem, everywhere i look for tech support on the linksys wireless router they show a screen shot from the ip adress that must be new, mine is old and doesnt have "management" features, this is a nightmare i just want to put a password on it so the neighbors dont drain may bandwidth, its clear im using an old one what do i do? Yes, its because the builtin firewall in your Linksys router blocks the X-Box ports. Please use the following link to fix the issue. Try connecting ur laptop directly to modem and check the internet. Most of the modem's will also have the same IP address(192.168.1.1) and due to improper cabling u may get that screen. Make sure you disconnect the modem and connect the laptop directly to the router and try to login to it. Try to clear the SSIDs on ur Iphone. If that is not possible then try creating a new SSID and try to connect. Make sure no Mac-Filter is blocking ur Iphone. Linksys products are prone to electrical surge. So u may loose ur configuration in case of storm or lightening.So it is better to use a spikebuster to minimize the effect. What error you are getting? Probably your modem is bridged. Let me know the IP address that you are getting. It seems ur cable is not connected properly. Ok. I did all those steps.. Thank you for the explanation.. comcast and linksys wanted to charge over $30 for that. but i'm still getting a "Limited or no connectivity" exclamation point on my tool bar..How to fix? Please help. thanks for the great post! for some reason the id and password "admin" are not working on 192.168.1.1 (this is the router address as appears on my network setting when i connect the modem to the router, then the router to my computer). i get a page that says something like "authentication fail".. what do i do?? thanks! Hi hope you can help. Have had a Linksys router for years with no problems. But now iphone 4 cannot join network, yet all other PC's, iPad and laptops all OK.
Any ideas as iPhone has never been a problem before. Will I have to reconfigure my Linksys wireless router every time the electricity goes out in the house? That's why it is messing up right now, because the power went out during a storm two nights ago for only about two seconds. It is a WRT610N. hi do u have any idea like how to configure ipv6 address in linksys wireless router !!!! we have lan setup in our office with leaseline connection. I want to setup wifi in one room. It is possible. Please explain how. i have two dlink "DWL 3200 AP".my problom is i put one AP my house.other one put my brother house.distance may be 60 meeter only.my house working internet.my AP ip adderess 192.168.1.251. my brother AP ip 192.168.1.149.
so how can connect WDS in DLINK AP. Select Width as 40 and channel as 1. Thanks a lot visiting my hub. Are you not able to access FB only or complete internet? Wow you really know your stuff. I have a wrt120n linksys router. It usually works ok. Once in a while I need to restart the router because it looses connection to my wireless devices. Ie. My iPad, iPod, blackberry etc. I was told to change the channel. What channel should I try? Is there a way to see if 11is better than 6? Im running the latest firmware. Also, Should I change channel width to auto or 40? If I change to auto I can't set the standard channel. Can you tell me what are the best settings in my case? I am having a weird problem, My Laptop using the WIFI is able to connect to FACEBOOK. and My Android Hand Phone is not able to connect FACEBOOK on the same WIFI router. While my Hand phone connects to FB using 3g or my Neighbour's WIFI. Its a funny situation. Is there something that needs to be done with the WIFI router?? You are brilliant, thank you so much!!!!!!! I've ADSL modem connected via USB to access internet. I've now bought Linksys wireless router WRT54GH. I followed the isntructions mentioned above, but when I reach the status page I am unable to connect (i.e. the ip address continues to show 0.0.0.0). Can you please help? Nice Job..keep it up..thanks to your help.. Thanks Karthik.. Nice job.. It was really helped me a lot. great hub... thanks for the information. it is so helpful. Hello, am new in networking field, i just configure router, every time password is missing, how to tempararely save the password. Well i can access internet in win 7 easily but the wifi is asking for ownership password in winxp?? do u have any idea?? i can only type numbers in that field. Its nothing do with the router configuration. You need to enable File Sharing in your computers or try disabling the firewall in the computers. I have an issue with my linksys.. any suggestions.. Problem is that the wireless hosts cannot ping each other. Running the latest version of the code and based on some suggests found online.. also tried doing a factory default and reconfigure. Thank you very much for your illustrations. finally I saw the right information I needed. No wonder you got a great number of comments in your hub. Excellent work in this hub. Get the port numbers from sony that needs to be opened. We can open those ports in the Port Triggering tab in the setup page which will be available under Application/Access Restriction. 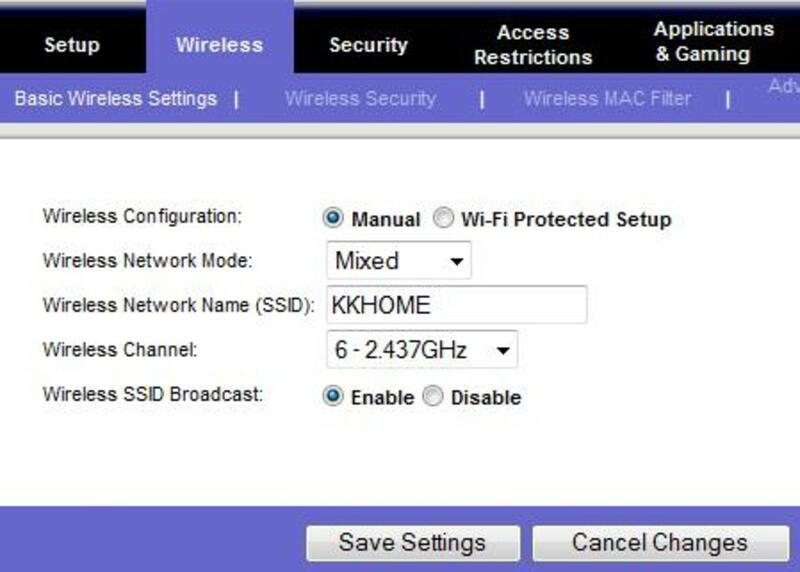 HOW DO I CONFIGURE MY ROUTER TO PLAY PS3 GAMES. SOME IT ALLOWS AND SOME IT DOESNT! Yes Sir, it absolutely worked when i used the static IP option....by the way before i was using wifi without this option but now....is there any specefic reason?? The only thing that I can think off is to assign the same static IP that you configured on your computer when you were connected to modem. 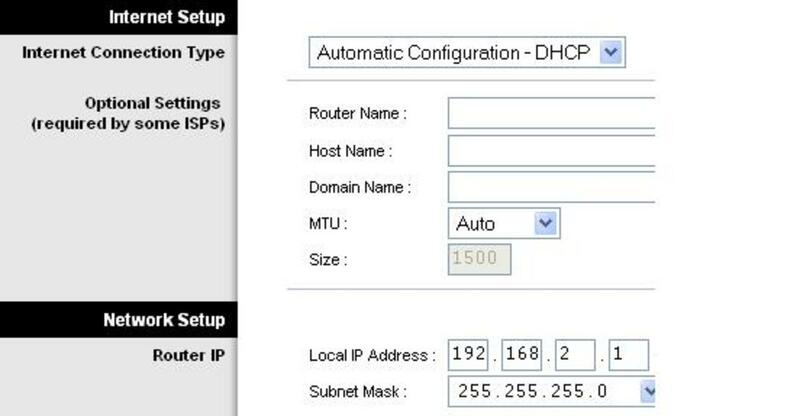 Select the configuration option as "Static IP address" then assign the IP address, Subnet Mask, Default Gateway and DNS values. well thanks alot for your help.... infact when i connect to modem directly then i have to manually put IP and DNS and when i connect to router, ( Plug the cable of modem into main port of linksys router and another cable to PC) I cannot access internet ( already told ). I followed all the steps as you told me and i got following snapshots for you to check briefly. i changed the ip address to 192.168.2.1 and select auto but i could not find anything in the status page. Now i think i cannot get the ip in status page. well i am a noob but when i check ip i use this command ipconfig. I will still insist to ask may there is something which needs to be restarted at ISP ??? What is the IP address that your computer receives when you connect to your modem? 1) Disconnect the linksys router from the modem. 2) Connect the computer to the router. Access the setup page and change the router IP to 192.168.2.1. 3) Save the changes(U will loose access to the setup page, thats normal). 5) Now connect the Modem cable to WAN port of the router. well i should have told you that i have a modem from isp which is connected to linksys router. now as these days linksys cannot transmit internet so i have to connect the wire directly from MODEM. there were two types of images the blue page is from linksys router connected to modem. And black page is modem which is directly connected to pc. From the screenshots it is very evident that your modem acts as a router and modem. To fix the issue, u need to change the IP address of the Linksys router to 192.168.2.1 then select configuration type as "Automatic Configuration" in the setup page. Infact i got some screenshots to explain more what is the problem. BTW somehow i was reading on internet that sometime there is a modem or router in ISP and reseting that can solve the problem. if you can have a look at those images. there are two types of screenshots . One when i connected to modem directly and acess modem page . Second when i connected to linksys and access router page and got screenshots. 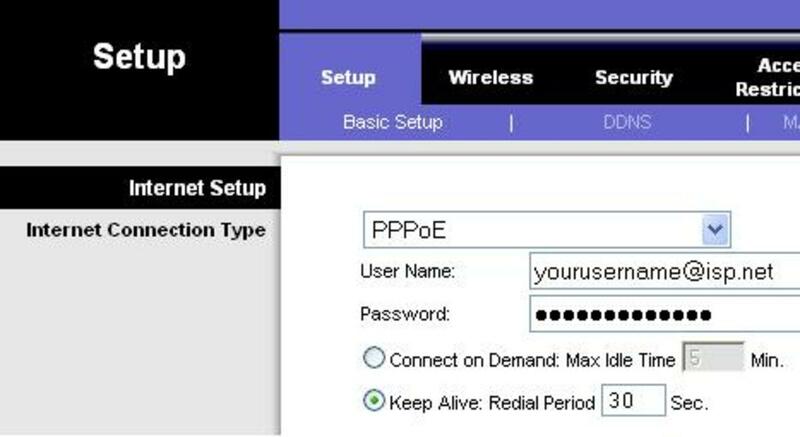 Please make sure you are getting an IP address in the status page of your router.If not then either the username/password you configured on your router for PPOE connection is incorrect or the connection is not a PPPOE connection. If admin didn't work then you might have configured an username and password during your initial installation. Only way to get into the router is to recall the credentials or to reset the router and start the installation from scratch. Assigning an IP address on your computer will only help u to connect to your router but not to the internet. 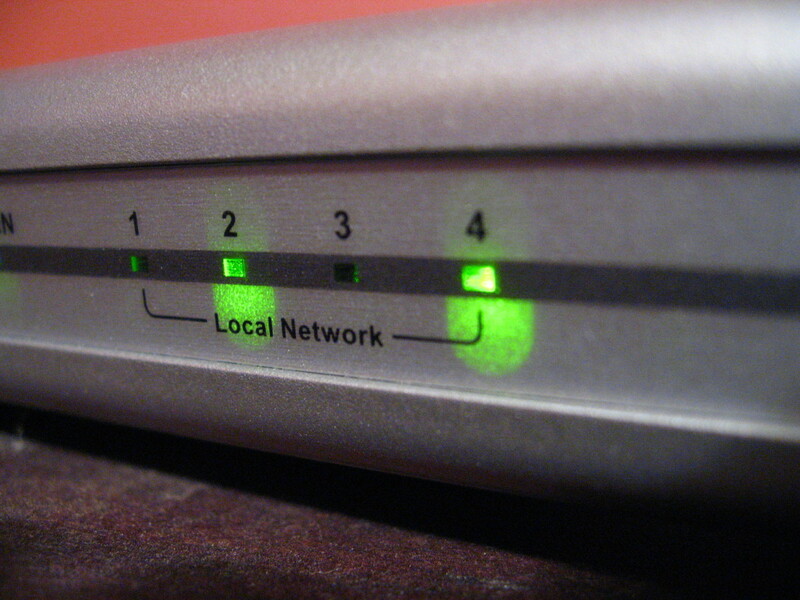 To get online, the settings should be provided by the provider. 3) Static connection --> Need to assign a static IP address in the router. Connect a laptop to any of the lan ports of the router and ping 192.168.1.1. Try to reset the router. I am using ppoe and username passwrd.....also i configure security key. may be there is a problem in basic wireless setup...can u suggest some help? So you mean i need to speak to my service provider for this ? or how about if i assign static ip's to the machines on my network will that help ?? I have a cable modem which is plugged into my linksys wireless router via ethernet cable .. is that what you meant ?? I believe that U r online on PPP connection(modem) and not via router. Hello i have a linksys wireless Wrt54 GL and i would like to make it ping able. also Mac filtering has been turned off on router. 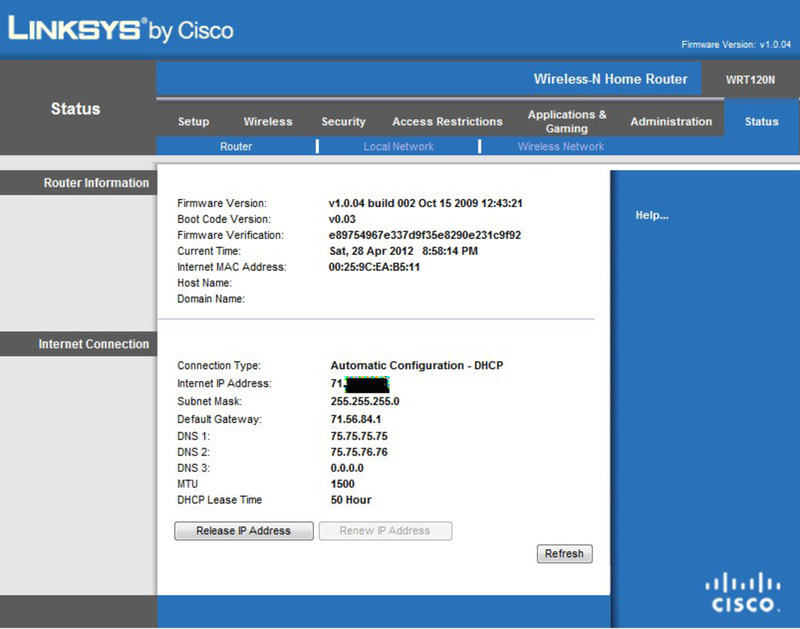 i have a problem , i have a linksys router and have configured DHCP for my cleints. internet works fine and all security features works ok as well. The only problem i am facing is when i try to remote desktop i get destination host unreachable , also when i ping it gets the same too. so clients cant talk to each other but they can router. solution please .... help help !! You can ignore my last post.. I fixed it. Yay! thanks for Hub... it really helped! I have Linksys WRT54g2 Router, I want to configure this with ISA server 2006. Please guide me. I believe its an issue with the router firmware. Before U buy a new router. Try upgrading the firmware of the router and reconfigure it. If it is still not working then it should be a hardware issue. I have a problem with my WAG354G and I hope you may be able to help. I have had the router for approx 7 years. Last night the connection was fine. Today, although I can connect through the ethernet cable I cannot connect to my wireless network, either through the laptop or other devices, i.e ipod touch,xbox360. I can see my network in the list of available networks but it tries to connect for a long time then stops and then my wireless network disappears from the list. All lights that are usually on the router are all working fine. No problems with my internet provider as eveything is fine when connected by cable. I have tried a hard reset and done a set up from factory settings again. Cant think of anything it else to do. Is it time for a new router, is there any way of fixing it? PS. Should also mention I disabled the security just to see if it was that, but I could't even connect wirelessly to the open network!! If you are able to ping yahoo.com without any packet loss then your internet is working. Then its the issue with browser. But you said that u have tried two browsers and the result is same on both the browsers. Tried to restore default settings in IE and clear the temp files and clear the cookies. Even after that if the issue is not resolved then try connecting the computer to modem bypassing the router and check the status. Even after that if the issue is not resolved then try reinstalling the browser. I have configure my Linksys WRT54GH router which is connected to my Desktop PC. Now, on my Laptop I can see the wireless connection connected. Also m able to ping yahoo.com with 0% packet loss. But still unable to open any website thru IE or Firefox browsers. Kindly guide me on this.. It could be the provider issue or the router problem. Connect a cable between a LAN port and computer. Login to the router setup page. Connect a cable between a LAN port and Wan port of the router. Check the status page, u should get an Ip address(192.168.1.x). If you get an IP address then its not an issue with the router else do hard reset for 1 minute and follow the instruction once again. Upgrade the firmware and follow the instruction once again. THANK YOU SOOOOO MUCH.. I have comcast high speed internet and I didnt realize when i bought the plan that the modem wasnt wireless accessable (only one port to connect to). I called comcast Tech support because 1) they owe me free assistance for messin up and installing my modem the first time incorrectly. I called them, the answer they gave me was " look it up on youtube or google" haha i couldnt believe it. then i said ok ill google it, i came across 10 different ways to set this up and this one by far was the best. Its been a while since i used a linksys router like 3 yrs ago lol but i knew it still worked and i didnt want to buy a new one and waste money. i had x'd out all my internet tabs and i just had to come back and thank you i mean really, i was about to drive myself crazy. I'm still having a problem. I followed your instructions but I'm still receiving a 0.0.0.0 for my IP address in the status. Thank you my friend, you are a genius!Your notes help me a lot. THANK YOU! I accidentally reset my Linksys and couldn't get a straight answer from any other source. BTW- I am a 56 yr old Grandmother...so if I can do it from your instructions anyone can. THe process explained above doesn't require any CD. Please follow the procedure.